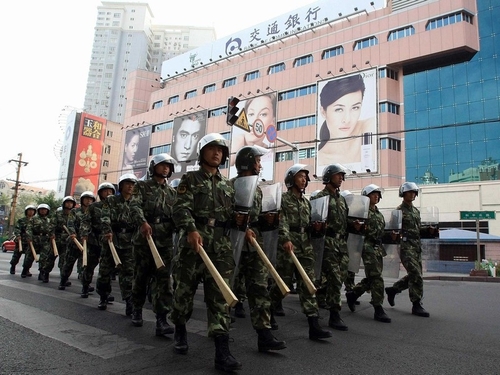 Five people have died in protests against syringe attacks in the western Chinese city of Urumqi. He declined to say what he meant by 'innocent' and gave no further breakdown of who the dead were. One person was seriously injured on Wednesday when the protests first started. 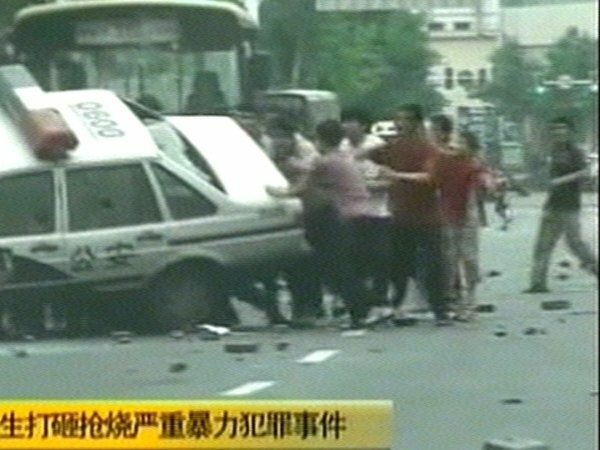 Earlier today, riot police used tear gas to break up protests, as thousands of Han Chinese demanded better security after a reported spate of attacks with syringes. Police vans patrolled streets with loudspeakers, telling people to go home, and used tear gas to disperse some of the angry crowds.